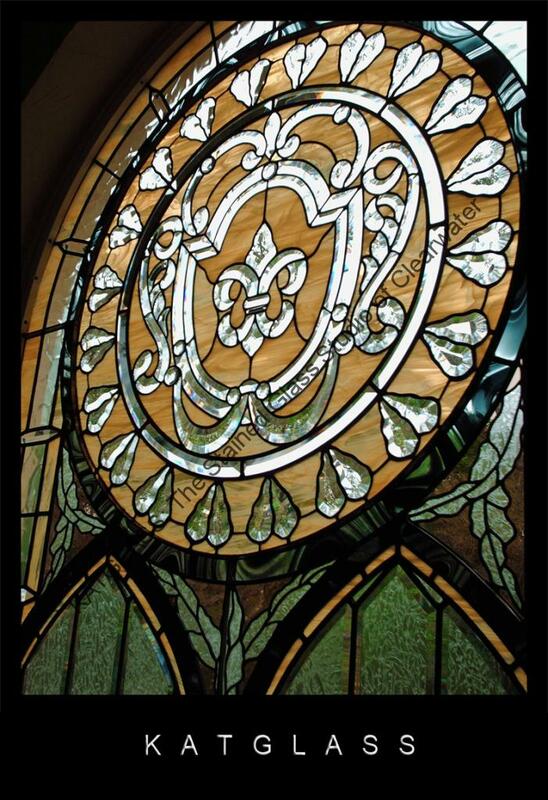 Custom designed stained glass bathroom windows are a functional focal point. 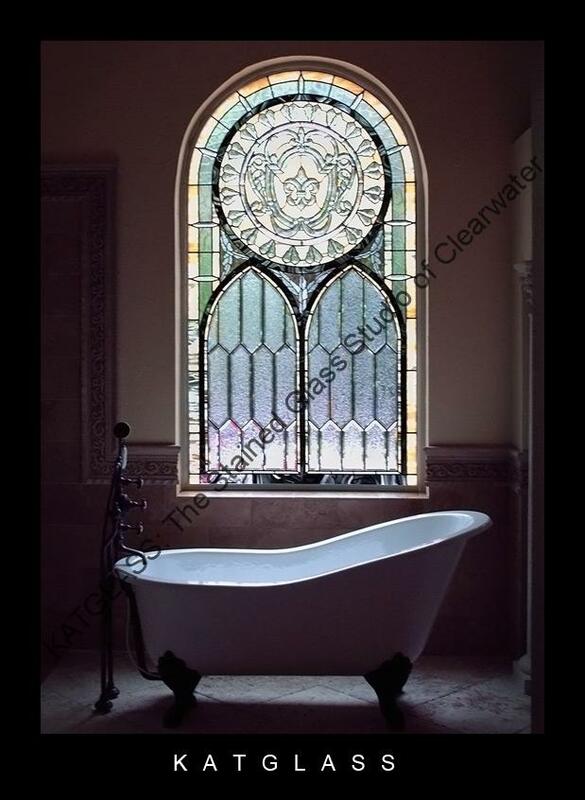 Not only do they set the tone for the design of the bathroom, but also, in many cases, showcase the light that filters through the glass without losing the desired privacy. Bathrooms today have grown from sinks and toilets into full scale dressing rooms, with water closets and spa features that transcend us into a tranquil state of mind. 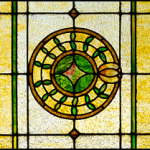 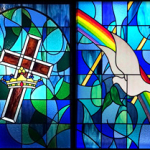 Our portfolio includes many beautiful stained glass bathroom windows, as our glass art becomes a visual vehicle, a retreat into a more peaceful atmosphere. 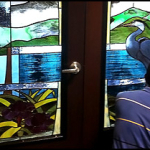 Our stained glass bathroom window designs most often incorporate design elements that provide privacy to the bathroom occupant while also providing an aesthetically pleasing, stained glass, art work piece to the room. 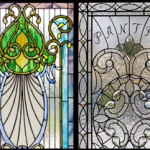 We have created underwater stained glass scenes, stained glass beach scenes, tropical stained glass scenes, and many other vacation style retreat designs for stained glass bathroom windows. 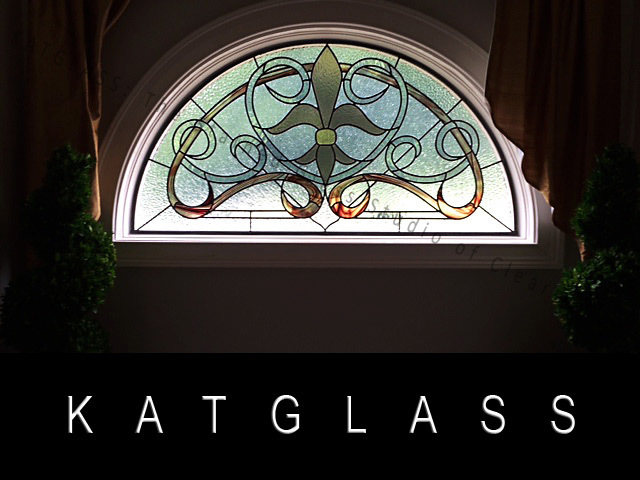 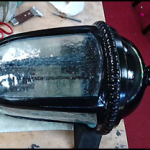 Please contact Katglass to have us create a bathroom window for your home. 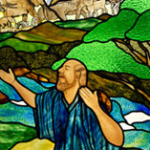 Bathroom windows are common, even in ancient times. 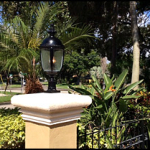 They are found in almost any outside facing wall and even sometimes in interior facing walls.. 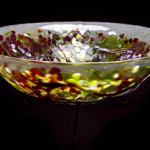 They are a wonderful source of natural light that can also be a stunning design element to the room and home. 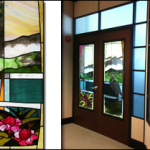 Stained and leaded glass provides privacy, while still allowing natural light to enter the room. 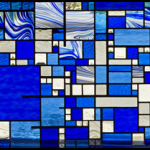 Depending on the design, textures, and colors which make up your stained glass, different levels of privacy can be achieved within almost any design style. 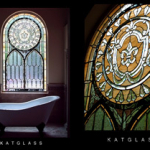 The KATGLASS stained glass studio has often been called upon to create bathroom windows that provide privacy while still allowing the most light transmission into the room. 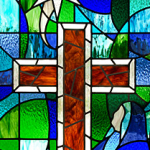 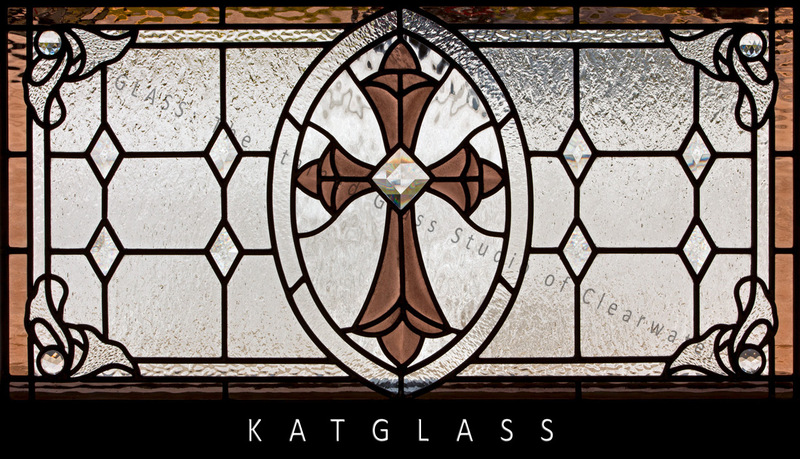 Please contact us here to have KATGLASS create an award winning stained glass design for your home.